Mongolia. If hearing the word China conjures up images of a place so vastly far away from the east coast of the United States, it has to be Mongolia. In my youth, joking about places like Timbuktu and Outer Mongolia were the norm if you were trying to convey long, long distances. 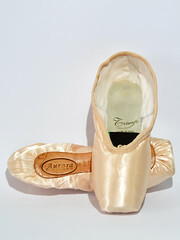 In today’s online global market place , all it takes is dedication, desire and a bit of luck to find those pointe shoe brands that were hidden from view before the Internet came along. 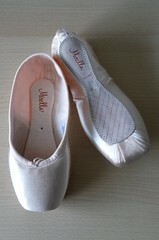 Today I can celebrate the fact that I found a Mongolian pointe shoe brand. Specifically, from the part of the world known as Inner Mongolia. Inner Mongolia is an independent region of mainland China. It is bordered on the south by China and to the north by Russia. 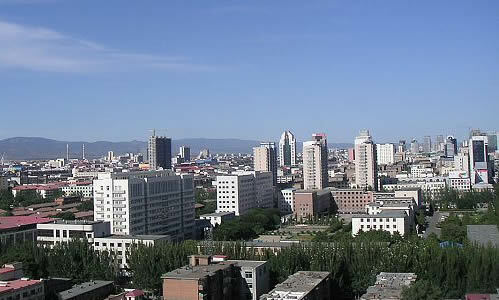 The Capital of Inner Mongolia is Huhhot. It is in this capital city where the brand name Love For Dance products are made. Unfortunately, the shoe photo image above is fuzzy and poor-quality. Nonetheless, it is an interesting find and another international brand to add to the sidebar! Images of downtown Huhhot, Inner Mongolia. Some people also spell it Hohhot. This isn’t the vast outer reaches of civilization I had pictured in mind. Huhhot is a vibrant cosmopolitan area that continues to expand performing arts within their culture. That includes ballet performances. 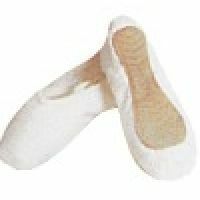 Although I have never heard of this particular brand before, according to the company website, they produce many, many different kinds of dance products. 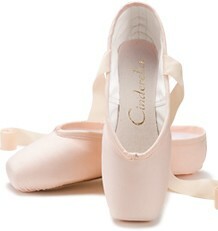 This includes apparel, accessories and shoes for ballet and other dance genres. 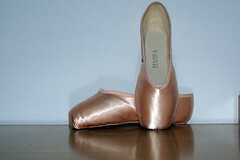 They also state that their company has been in business as a dance supply manufacturer since 1983. Production of the Love For Dance pointe shoe models takes place in their factory, the Huhhot Wumel Dance and Art Garment Factory. I love the fact that this company actually provides some detailed information about themselves including a photo of the factory and how many employees it has. They are a large, successful company with several bases scattered throughout China. The only disappointment I found when visiting their website is a video that doesn’t work and another web address for their Guangzhou city, Guangdong province, China location that I couldn’t read if my life depended on it. Check it out here:Wumei-costume.com. Even Google translate couldn’t handle that one. You can visit the official website at Lovefordance.en.gongchang.com. To see the shoe, click on products, then go to page 7. 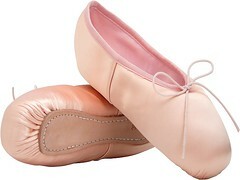 According to Love For Dance, they come with hard soles and can be ordered in bulk with several material/ color choices. 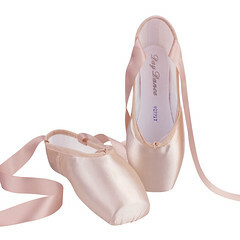 It is unclear whether these pointe shoes must be bought in bulk quantities for ballet schools only. Mongolian pointe shoes….amazing! 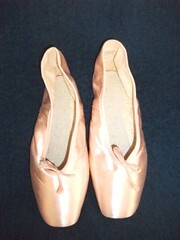 This entry was posted in Mongolian Brands and tagged pointe shoes made in Mongolia. Bookmark the permalink. That’s so crazy! 😀 I would never have thought it!